Available to our clients our range of Milling Reduction Sockets that are available in varied dimensions and shapes. Procured from reliable and trustworthy vendors, our range of milling reduction sockets are precision engineered, and comply with international quality standards. 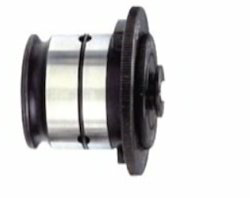 We are engaged in offering Reduction Sockets that are manufactured using quality raw material. These are perfect to use as holding tool for morse taper shank tools. Offered in various dimensions, these are available with two types of ends that are Tang (illustrated) ends or Threaded ends. This reduction sockets can be in O/s taper R-8, ISO, BT. Application : Suitable to hold Morse Taper Shank Tools with Tang. - Made from 16MnCr5 & Case Hardened to 55-58 HRc approx. - Precision ground to an accuracy of .015 mm TIR. - application : Suitable to hold morse taper shank tools with tang. 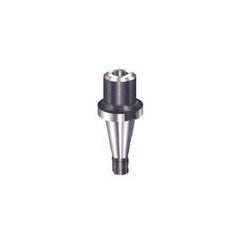 To meet up the different needs of our valuable clients we are offering to them a high quality array of Milling Reduction Sockets. We offer these in different sizes per the preferences of our clients. These are highly appreciated due to their various features such as high durability, excellent finishing and fine finishing.